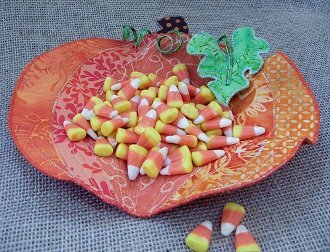 Use heat moldable stiffener to create and shape these autumn accents! This pattern includes full size patterns for the pumpkin and it’s leaves, stems and Jack’s face! Use your scraps and your imagination to make these quick projects!